The blackening of skin and clothing by gold or silver jewelery is a fairly common and rather surprising reaction. This phenomenon leads one to think that the jewels bought are of poor quality, but it is not the case! Several factors are at the origin of this reaction, we will discover which, and how to avoid it. Why do jewels blacken the skin? The copper content of the alloy results in increasing blackening. This is why with red gold the phenomenon is more intense. The presence of dust in the environment intensifies blackening. Tip: Porters should be advised to clean their jewelry frequently. The links of the chains and the bracelets trap dust and must be eliminated because they have an action of wear on the jewel. A polished metal causes a lower blackening than a metal with asperities. 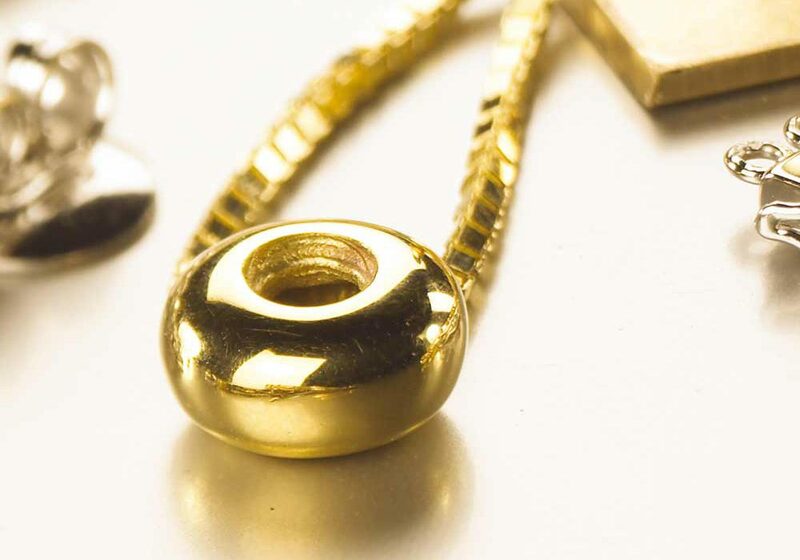 Tip: Polishing a striped jewel can alleviate problems. During the project of creation of a jewel, it is necessary to avoid the asperities, that is to say of fine parts in relief. The chemical nature of the environment in which the jewel is in contact plays an important role. This chemical environment may be external, but may also depend on the diet or health of the person wearing the jewel. Coarse or synthetic fabrics are sometimes at the origin of the phenomenon by accentuation of wear by abrasion or electrochemical reactions of corrosion. Store your jewelery in jewelry boxes or dedicated pouches . This will avoid contact with harmful substances that could tarnish them. Remove your jewelry when cleaning, showering or playing sports. To avoid inconvenience, we recommend that you give your customers advice on how to regularly maintain their jewelry, such as cleaning (by themselves) and polishing (by a jeweler). They should also be told of certain precautions to be taken to avoid deterioration of the metal and the stones that make up their jewelry. For example, avoid chemicals and friction between parts of different hardness (stones of different natures to each other or stones and metal in the same case).